My most beloved son this is GOD the Father of Heaven and Earth. My son, My children are not changing, they still want to live in the sins of the flesh and abortions, and have sinful life styles. As you have received, and two of your friends that you know, and many others throughout the world who have received messages, My hand has fallen on your country, America, and the whole world. Expect to see things happen in your world that have not been experienced for a long time. You will be seeing many storms, fire from the sky, and many other things that will shock many people. I am permitting many things to happen to change the votes of My children from the death culture to the life culture of God. You know and I know that most of My children will not give up their sinful life styles without being forced, through pain and sorrow, to listen to their God and not satan and the sins of the flesh. 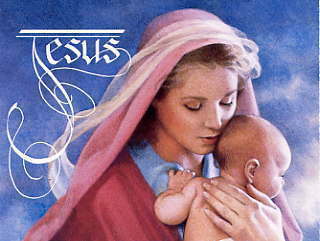 My Mother and I, have begged and had all the faithful on earth praying to stop abortions and sins of the flesh. As I have told you many times, 10% of the people are living in My Divine Will and 10% of the people are totally living in satan’s will. The rest of the 80% are just wandering between God and satan and doing what pleases them. I cannot have 80% of My children keep playing satan’s games and going to church once a week or not at all and expect to get to Heaven. I will not let My children act this way any longer. The deeper the sins of the flesh are in any area, the stronger the chastisements in that area will be. The big cities and the coastlines are the biggest sin areas. Expect them all to be hit hard. I have been permitting some of these areas to be hit by storms, and people start to pray when they see these storms coming and beg their God to stop them. I have been listening to all My children. Most of My children will pray for a week until the storm is over and then go back to the same life style. Those people who are standing on the fence playing satan’s games most of the time and Gods game of prayer once in a while will have to learn a lesson the hard way. I do not want anyone to lose their soul to satan so I am sending disasters and plagues that will help you to want to pray all the time and not just when you feel like it. Prayer to God is an everyday thing that all must do to get to Heaven. Others can pray and get a lot of people to Purgatory but there are not many of the other side left to get everyone to Heaven anymore because there is not much family life left. People have given up family life so they can commit sins of the flesh at any time and it has broken and torn families apart and has ruined the last two or three generations having taken most of the good priests and religious away. There are not enough prayer warriors left to defend the world and the Church which is the people of the world. My son, I have given you warnings for My children for 35 years, this year, and most of them have fallen on deaf ears. My children say, ‘What can I do?’ You can pray and go to church every weekend and ask your God’s forgiveness for all the sins of the world and sins of the flesh that are destroying all My children, just because of their laziness. America is the most guilty because they have been given more than any other country and they do not want the burden of children. They expect people from the poor countries to do their work for nothing while they live a lazy life and get paid wages for little work. Now I am letting people from the poor countries to come over and make you a poor county to wake you up and teach you to have the children that I wanted to give you but instead you killed them. Now you see why you will become a third world country, you killed all of your workers. The end of this era of time will come very soon. Please love Me as I love you. Repent of past sins and start Living for God-NOW! My love, My beautiful one and all My beloved children. I spoke to you last night because I wanted you to write today. My Heart and My Son’s Heart are in such sorrow from the sins of Our children and from all the suffering that My God and yours has to put all of you through because of the sins of many of Our children. As you have been told, your country and the world will be seeing disaster after disaster from now on until the new Era of Peace. As My Son told you in the last serious message, God will not let My children sin this way any longer without paying a big price for these sins. God loves all of you too much to stand by any longer and see many go to hell. He will keep permitting satan to chastise all of My children until they see that satan is just a liar and a thief. He wants to see everyone suffer and go to hell with him and burn in hell for all eternity. My children, what God wants is obedience to the Ten Commandments so your feelings and emotions are in obedience with God’s laws, and everyone in the world is happy and loved. This is the most Holy Family speaking through your Spiritual Mother to all families of all religions in this era of time in which all religions have been led astray. God is your leader and the good people are still the church. Do not follow false leaders in any church. Follow the Ten Commandments and the God who made you. If the church you go to teaches that sins of the flesh and abortion and homosexuality are on track, leave and go to a holy priest or preacher. If you can’t find one, follow the Ten Commandments or the Catechism of Saint Pope John Paul II or a good old Holy Bible and you will be in God’s Will. 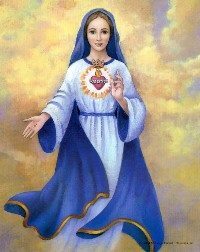 From your Holy Mother Mary and God the Father of Heaven and Earth and all the Universe. God the Father wants to speak. My children, this is God the Father of Heaven and Earth. I want to warn you that you have a chance yet to still save your country and not be totally taken over–ONLY if the Democrats start supporting the President and Vice-President that I had voted in to save you from the total destruction of your country. It will happen ONLY if the Democrats quit condemning the President and Vice-President that I, God the Father, put in office to save your country and to clean out all the communists that are trying to control your country and all the churches. 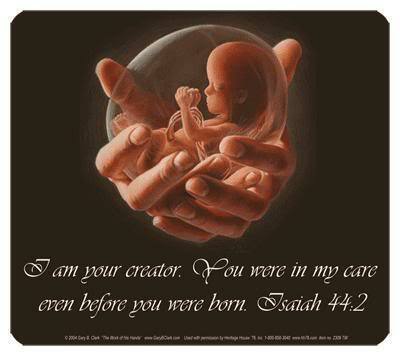 If your Democratic leaders, (I am talking to the top leaders of the Democratic Party) DO NOT stop abortion and choose life, I will destroy your party. Amen. God the Father. My son, I want the teaching,* that I asked you to read, to be published on the website along with your messages. My children can receive graces from reading it because it is pertinent for the times in which you are now living. Love, God the Father. *The teaching that God the Father wants everyone to read is entitled “You have everything within you in order to win,” from the book, Love for All My Children, Jesus, Volume 5—Part B. It was dictated by God the Holy Spirit to The Girl of My Will in Jesus and can be found on pages 135-156 in the pdf found on the ‘Books’ tab of the website http://www.lafilleduouiajesus.org/a_accueilNEW.htm or on pages 207-237 in the paperback that can be ordered on the ‘Purchases’ tab from the website.